Ran across these while visiting a Scottish Rite Temple this weekend and was wondering if anyone may know a little more about them. Thought it was pretty neat, oh and they still work very well. It is used for internal communications through out the Temple. I could be very wrong about this, but I beleive they were used for door entrence into buildings. The other end was a single box. My first encounter with Executone equipment was back in the mid 1970s, long before they got into telephone systems. They were the masters of intercom systems, as in internal-only, hence inter (inside) com (communications). They had some beautiful hardware, much of which was in nice wooden cabinets. It's a shame that they weren't able to stay on that track. That kind of hardware, brand-new, would sell like wildfire for people who like the classic look and have deep pockets. Can you imagine an IP-based intercom system housed in hand-crafted oak cabinetry? Am I onto something here? Doesnt that box say Edwards on it,guessing 1905-1907. I know this is old, but I thought I'd throw in my 2 cents. I saw one of these after starting with Executone in 1980 and if my memory is correct, I was told it was a product they once sold. 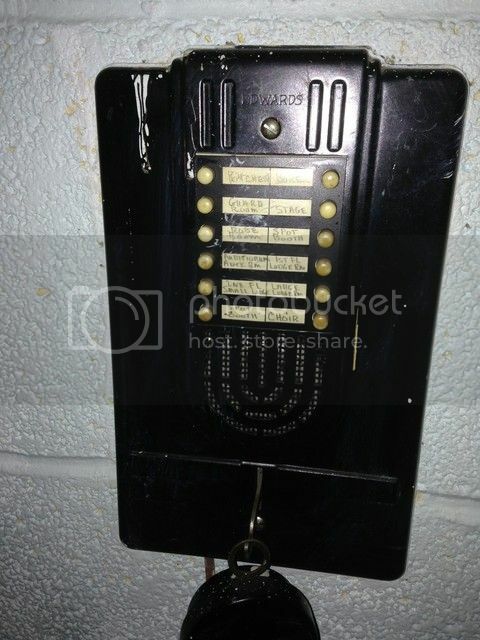 I was also told that Executone even had intercom systems in some Northwestern Bell offices prior to intercoms being incorporated into telephone systems. 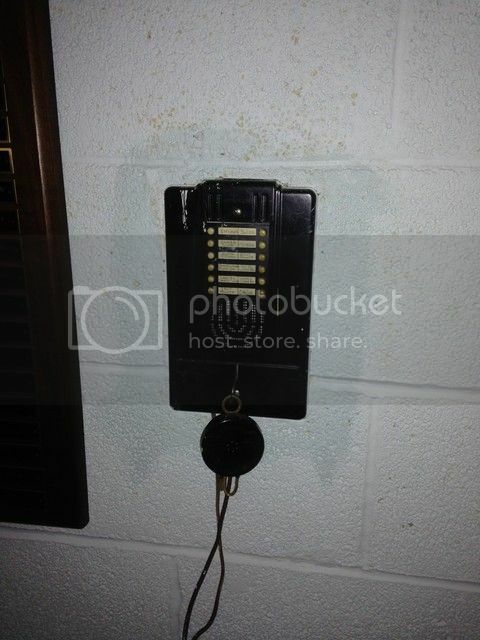 Now that you mention it, doesn't it look like the wall (concrete block) is way newer than that intercom? Maybe they liked it so much that they moved it from somewhere else? Edwards was a unique company. There were several Fire Systems installed in commercial buildings in western PA that were Edwards. In addition to the actual relay main frame fire panels, they had a stepper intercom for the large buildings and used a WE 207 style selection relay for the smaller systems. The unit pictured is larger and more ornate than the ones I remembered. They worked well.